From clearing up the snow in your storefront to hiring seasonal staff members, winter presents a number of unique challenges to a business. Did you know that data protection is one of them? Having a data protection and data recovery plan in place is absolutely essential for businesses facing the chilly winter months. Don't assume that you have a reliable disaster recovery plan just because you have a data backup solution. While important, a data backup solution is only one component of a disaster recovery plan. There are other elements, such as threat detection and service redundancies, that also play a critical role. 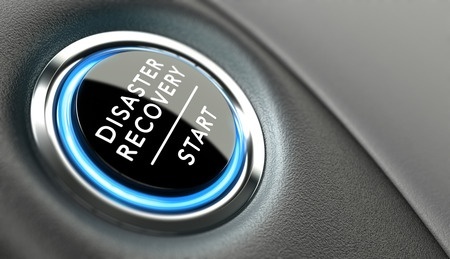 In this post, we discuss why a disaster recovery plan is different from data backup and why it is so important that you have a plan in place. It’s human nature to avoid addressing worst case scenarios unless you absolutely have to. But if you’re a business owner, sticking your head in the sand until something goes wrong is no longer a viable strategy to adopt. Especially in today’s technological landscape, where getting hacked or even a natural disaster can derail your business operations through protracted amounts of downtime, in addition to critical and confidential company data becoming compromised or worse, lost and unrecoverable.